If You Can’t Say Passionate, What Can You Say? Passion has become somewhat of a dirty word. To some employers, it can be like nails on a chalkboard, while to some it’s a great word that demonstrates enthusiasm without being frightening or obsessive. Can you really describe yourself as passionate about bathroom tiles or filing? People might think you’re mad. Are you a passionate person, or do you just enjoy things loudly? Another problem is that everybody uses it. It can be hard to stand out when everyone else applying is passionate about the same thing. But what can you use instead? Before charging off with a thesaurus and hoping for the best, let’s have a look at the alternatives. It can often depend on the job. Sometimes describing yourself as passionate about something like data handling or account managing can sound a bit too strong, even if you really want the position in question. A better word in this situation would be to describe yourself as committed, as it also implies a certain degree of success, and a long-term loyalty to the position. Committed also says that you are able to keep a clear head while working. Passionate, meanwhile, says foolhardy and blinded by your own love of something. 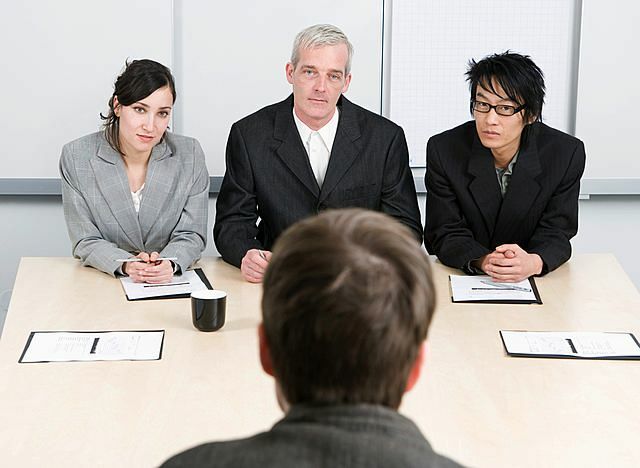 Saying that you’re passionate in a job interview is also a piece of information that someone conducting an interview can’t really do anything with. Sure, you can tell them that you are really passionate about something, but they have probably heard that several times that day already. It doesn’t demonstrate any results in your professional history. Instead, listing a number of examples where you can prove your enthusiasm and commitment is a much more tangible method of showing your passion without even having to say it. Passionate as a word, used to mean an intense burning devotion and interest, almost to the point of being completely obsessive. It should be a laughable hyperbole almost all of the time, but it’s been so diluted that you can now describe yourself as being passionate about anything. In the world of business, particularly, it’s an important word to avoid. Instead, go for words such as focused, knowledgeable, loyal and specialised, which demonstrate attention to detail as much as they do enthusiasm. And make sure to continue to back up these claims with examples. Sometimes they might not even have to come from professional experience, if you can demonstrate these aspects from examples outside of the world of work, you can add that extra bit of personality during a job interview or on your CV. This entry was posted in CV Advice, Interview Advice. Bookmark the permalink. ← Prince Charles’ Missing Millions: Unemployment and the Over 50s.